If youre looking for an affordable nights stay near Norwich airport then book with HolidayExtras.com® to save up to 40 per cent. Our hotels are always comfortable, convenient and affordable - the perfect start to any holiday. Why is it a good idea to book in advance? Booking as early as possible is the best way to make the biggest savings. Our rooms are priced on an availability basis, so pre-booking will mean you get the room of your choice at a brilliant price. Which hotels are available at Norwich airport? 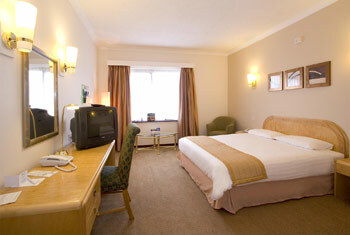 The hotel we offer at Norwich airport is the 4-star Holiday Inn Norwich North. Just a short walk from Norwich International airport, the hotel is convenient and you wont even need to worry about transfers. You can also park at the hotel for the duration of your holiday. 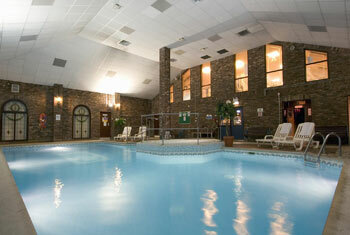 And why not enjoy the luxurious leisure facilities by relaxing in the sauna, steam room and swimming pool with Jacuzzi. There is also a fully equipped gym, including a treadmill, bicycles, a resistance machine and weights. The hotels Concorde restaurant sources its food locally and the sunny conservatory is the perfect place to indulge in a delicious meal. A carvery is also served daily and you can relax with a drink afterwards in the Cocktail Bar and Lounge. All rooms are en-suite with complimentary tea and coffee, satellite television with pay per view channels, and room service is available 24 hours a day. How can I upgrade my booking? The Traffic Assistant service is designed to help you save time, money and stress. For just £1, well send you traffic updates via text on the day of your journey, so that your journey to the airport is totally stress free.